While hunting neodemons in her role as Warden of Ixos, Leandra obtains a prophetic spell that provides a glimpse one day into her future. She discovers that she is doomed to murder someone she loves, soon, but not who. Leandra’s quest to unravel the mystery of the murder-she-will-commit becomes more urgent when her chronic disease flares up and the Ixonian Archipelago is plagued by natural disasters, demon worshiping cults, and fierce political infighting. Everywhere she turns, Leandra finds herself amid conflict. As chaos spreads across Ixos, Leandra and her troubled family – her misspelling wizard father Nicodemus Weal and dragon-of-a-mother Francesca DeVega – must race to uncover the shocking truth about a prophesied demonic invasion, human language, and their own identities–if they don't kill each other first. "To test a spell that predicts the future, try to murder the man selling it; if you can, it can’t. That, at least, was Leandra’s rationale for poisoning the smuggler’s blackrice liqueur." Set well after the events of Spellwright and Spellbound, the first two novels in the Spellwright trilogy, the story focuses around Nicodemus Weal, his wife Francesca and their daughter Leandra as they try to ward off the coming of The Disjuntion, a prophesied demonic war that would bring about the destruction of all human language. Their dysfunctional relationship provides a painfully intimate glimpse into their internal struggles as they each try to come to terms with their own unique nature and the consequences of the divergent, often conflicting paths they take to try to make the world they live in a better place. Paradoxically it is their love for each other that cause them the most pain. "Every soul existed and acted within the eternal and pressing instant of now, and then—to make existence bearable—wrote a story to connect past, present, and future." 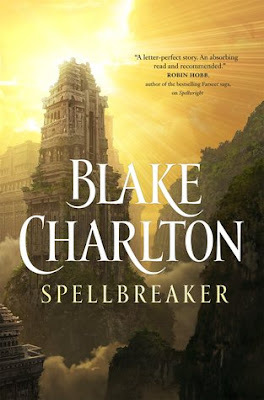 While Spellbreaker is the third novel in the Spellwright trilogy it also acts as a a good entry point for new readers. There are enough flashbacks and explanations of previous events to quickly clue in new readers although the backstory can be quite baffling at first. I'd definitely recommend starting with Spellwright if you are interest in getting a more comprehensive look at the truly stunning magic system. 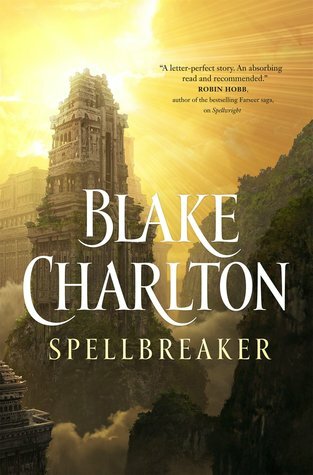 Spellbreaker is a compelling read with a unique magic system, captivating characters, impeccable worldbuilding and the ability to surprise you with its emotional impact and insight into the human condition. You can read this as a standalone novel, but I'd highly suggest you pick up the entire trilogy. It's magic! Thanks to Desirae from Tor for providing the review copy. Crilley’s prose brings the world to vibrant life. Durban and surrounds take on a life of their own, even if you have never been there before it feels familiar. Crilley manages to infuse that distinctly South African feel into the world. It’s tough to describe, but as a native South African it just feels like home. The world-building is brilliantly executed. Every action has consequences and there's always a price to be paid. I loved the fact that magic (shinecraft) takes such a toll on its users. Akin to addiction it alters the wielder in irrevocable ways with sometimes fatal results; that’s something that you seldom see in most fantasy novels. I also particularly enjoyed the multitude of supernatural creatures roaming the world. Drawn from various cultures and mythologies they added an unusually diverse layer to the world. The very dark and twisted take on religious mythology also came as an unsettling surprise. I don't think I've ever come across such a dark interpretation before. The nail-biting conclusion is utterly satisfying while still leaving ample room for a sequel. Make no mistake, after reading Poison City you’ll definitely want to return to this world over and over again. I definitely can’t wait for the next adventure and hope to see more of Dog (and Tau) soon! 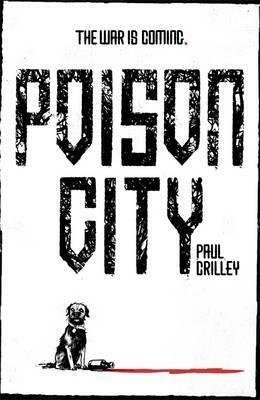 Paul Crilley’s Poison City is the fantastical love child of Supernatural and a Lauren Beukes novel. Part urban fantasy, part crime novel this is a pure twisted reading delight. You’ll never be able to look at humanity in quite the same way. Highly recommended! Just be warned that it does get quite dark. Thanks to Kelly from Jonathan Ball Publishers for the review copy.